This certificate course equips students with the basic knowledge necessary to recognize and use color and color combinations to enhance facial features. While attending our makeup school in Toronto, students will be exposed to the various techniques and product applications currently used in the industry. 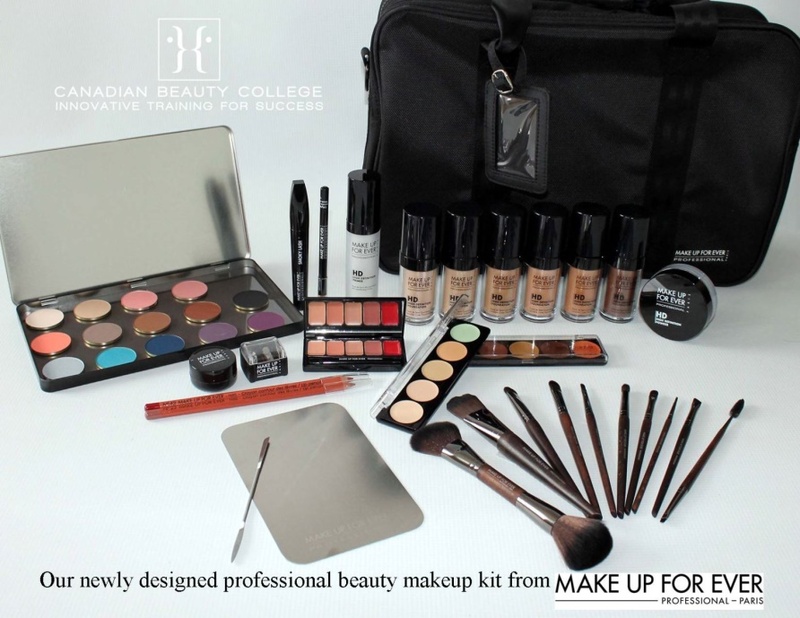 In addition, the student may choose to acquire a full professional makeup kit complete with brushes for daytime, evening, bridal and fashion artistry use. A strong focus will be placed on client care. The course will focus on marketing and freelance opportunities. We offer students the opportunity to take advantage of the MAKE UP FOR EVER professional discount program available through our makeup school in Toronto to get you ready for all beauty and creative applications. MAKE UP FOR EVER is industry recognized as a top professional brand for beauty, creative and special FX makeup and we are proud to offer this to our students. Pre-made and custom makeup kits are available. We invite you to look through our online photo gallery which showcases the creative designs of past and present students.